Storm Damage has or will impact others in your life. Make sure they know who to call. There are a lot of resources that are needed in cleaning up storm damage events and SERVPRO of Fraser is able to help you with all of them. We have alliances and connections with various Metro Detroit contractors, plumbers as well as various construction companies and handymen. By having such a widespread reach, we can help draw from the experiences of multiple professionals, allowing for your home to be taken care of with the utmost expertise. Another resource that will help more in terms of preparation is the National Weather Service. Their websites and social media feeds keep track of upcoming and current storm trends and warnings and issue those warnings and updates the information in real time. Finally, some of the resources are some everyday items found within your own home. In a pinch, it can help that you have some fans handy as well as a shop vac. Having the ability to at least remove some water and be able to ventilate the area affected will at least slow down the potential growth of mold. However, it is important that you contact a restoration professional in order to ensure proper remeidiation is performed. Call us to prepare yourself for emergencies and make sure that your facility is ready. An Emergency Ready Profile is a massive tool for you as a property owner, property manager or as a facilities director. It may seem like a complete guide, but it is only the first step in making sure that your commercial building and its employees can adapt in an emergency situation. The Emergency Ready Profile is a no cost assessment of your facility that will detail important areas of your building, like key exits, where shutoffs are located and a plan of action for when a disaster occurs, complete with a chain of contacts that you would like to call in an emergency situation. The Emergency Ready Profile is also encouraged to be reviewed every year with important staff members and training should supplement what is included in the emergency procedures for your facility. If you would like to have an ERP performed on your business, call your local SERVPRO experts at (586) 296-3331. Tips Before the Big Storm. SERVPRO is the leader in insurance restoration. If your area is expecting a tornado or other major storm, there are several steps you can take to stay safe. Tornadoes occur when there is a severe thunderstorm in the area. Rain, hail and lightning strikes are all signs of a possible tornado. Skies that have different colors like green, red or orange. Follow your local news stations on social media and try to watch on television if possible to stay abreast of the weather patterns and conditions within your area. Head for a sturdy building before the storm approaches. Look for a home or office with a basement whenever possible. If a basement is not available, move to the center of the building. Stay away from windows and debris. Try to place as many solid walls as you can between the coming storm and your family. If the storm is too severe for driving, secure your seat belt, get as low in the seat as possible and place a blanket over yourself. Stay close to the ground if you are caught in an open field. Cover your head and keep an eye out for debris flying through the air. Avoid hiding under overpasses or bridges. SERVPRO of Fraser is a proud to be a member of the Fraser and the Macomb County community. When you have a flood or storm emergency, we will always be ready to help. 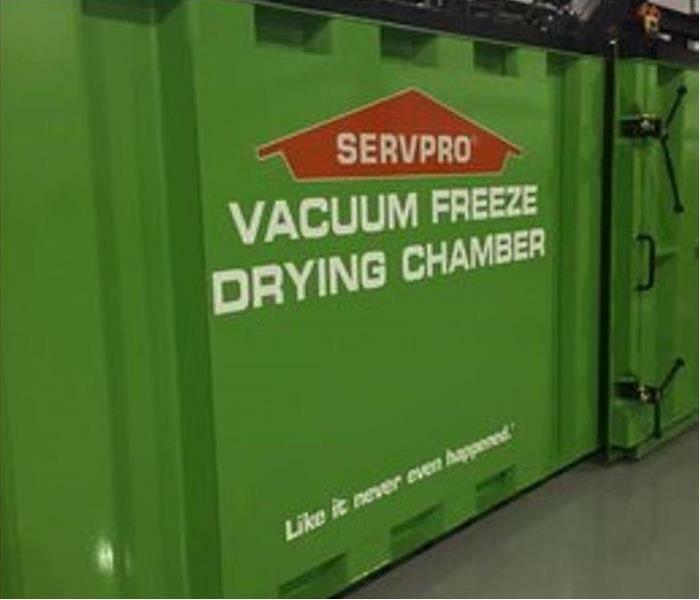 This is a photo of the document drying chamber that is used at our SERVPRO corporate office. 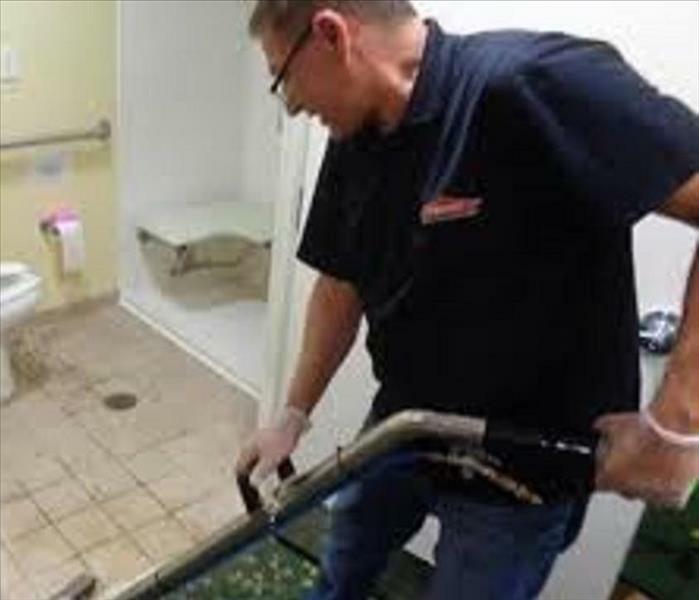 Many SERVPRO franchises have commercial properties that they service over the year and outside of your general carpet cleaning or a general cleaning, it is usually in an emergency situation. The cleanup is performed, the job is completed but what's next to prevent a situation like this from happening. One of the ways we help to restore your property is that we create an emergency response plan to show you where your water shutoffs are, locations of your important areas for your buildings as well as tag off with labeled directions of various areas. Another way we can help to restore your property is by recovering important documentation from a flood or a fire. We can send your documentation over to our SERVPRO corporate office and have the documents sterlized, digitized, or even freeze dried in the event of a flood. Important documents need to be carefully handled and the restoration process is taken very seriously and with a high degree of care. In the event of a commercial disaster to any property in our service areas, please call us to ensure that you get a professional and immediate response for your company. Fire damage can spread quickly. As a homeowner, a house fire can be one of the most traumatic events that can happen. When faced with this situation, it is often hard to come up with where to start looking. Here are some things to identify after a major fire. One thing to immediately find is whether or not important documents for your assets were damaged in the fire. Structural damage can be identified early as well, but the process for getting those documents recreated can be a long spread one and it is better to get out in front of it. The next step to identify should be what areas of your home had structural damage. If there areas of your home that look vastly different, those areas will obviously require the most attention. Finally, you should look towards the ventilation and areas of your home that are essential to maintaining a healthy environment in your home. 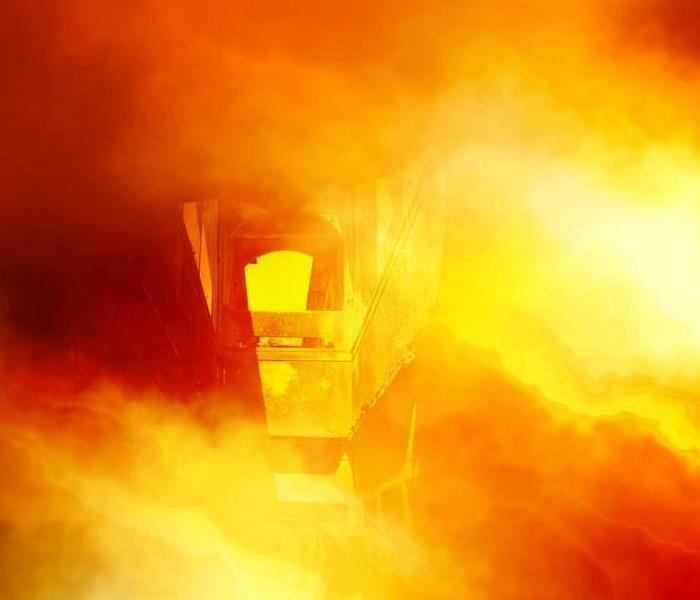 By making sure that the ventilation is unaffected, you are preventing situations that can cause you to have further soot and smoke from spreading to other parts of your home. Storm damage can lead to homes being destroyed. After major storm events, there can be a lot of resulting hazards from the storms damage either inside the home or within the environment of the home. One element of your home environment that is impacted is the air quality. Different environmental conditions have been introduced into your home and combined with the environment inside can cause various types of fungi, mold and other growths to form within certain materials of your home. Another hazard that results from storm damage is a major structural damage. If the storm results in a lot of standing water, it may weaken the core structures in your home. This is not as likely in newer homes, but homes that have older structures can have particular amounts of damage. When assessing your home, we make sure to not every possible circumstance that can result from a storm situation. In the event of a storm situation for your home, call us at SERVPRO of Fraser. Mold from Pipe Bursts from the Polar Vortex? Even our owner Paul will come out to do the work! Within the last few weeks, the frigid temperatures and vast amounts of snowfall have caused many breaks within the pipes in the Southeast Michigan region. Even with the temperatures warming up since then, the changes in temperatures can cause cracking around the exterior of your home, which may cause interior damage. Many homes that were left unattended have been affected and are now either susceptible to or have mold within the damaged homes. If this is the case for your property, please call a professional company like SERVPRO of Fraser to remove any interior mold within your home. By calling in a professional, you can save yourself from a lot of headaches later on because the remediation techniques performed by our staff will remove any chance that mold will ever reside within the affected area of your home because of the storms. It will also greatly reduce the cost of repairs should the mold problems be ignored. Call us at (586) 296-3331 for a professional assessment. 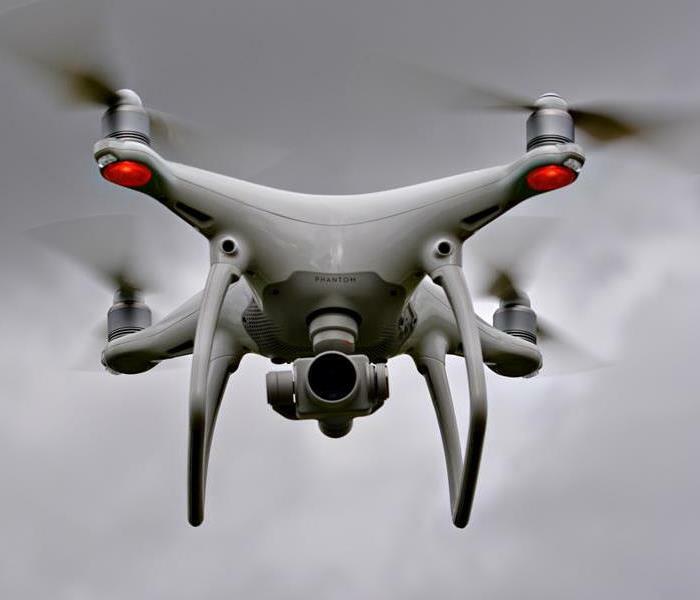 Drones are becoming increasingly common in the restoration industry. Like everything in life, things change and processes get redeveloped to make things quicker, more efficient and with the end result in mind. 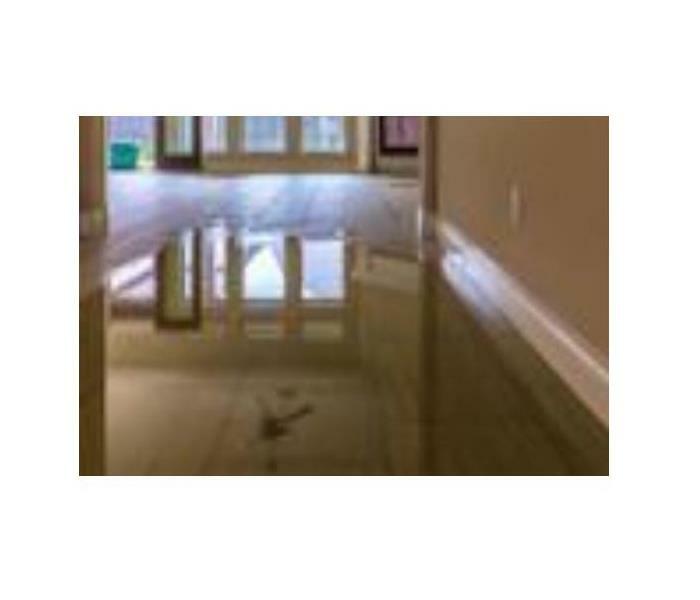 This blog is going to talk about the various technologies that are used in water damage cleanup. One such technology that is relatively new to the restoration industry is the use of drones to determine where water damage resides. Drones can find water damage in areas where it is deemed unsafe to roam into. With this access, the drone can also take pictures from angles that are not possible by a crew member and helps the insurance company to value out and determine what areas can be removed and what areas can be dried and or salvaged. Another technological innovation within restoration is thermal imaging. This along with moisture readings can help to ensure that the structure can maintain a strong integrity after a water loss and keep the materials in line with the environmental conditions surrounding the material. 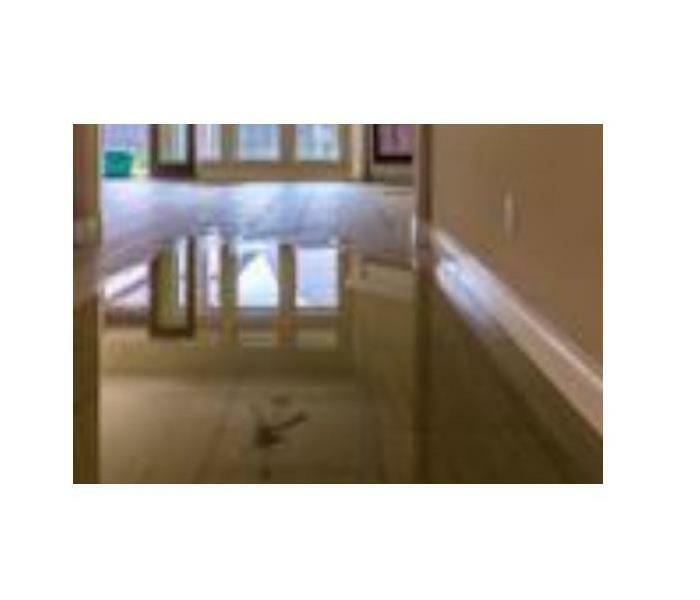 In the event of water damage in the Fraser area, you can call your local SERVPRO experts at (586) 296-3331. Storm activity can cause major havoc. 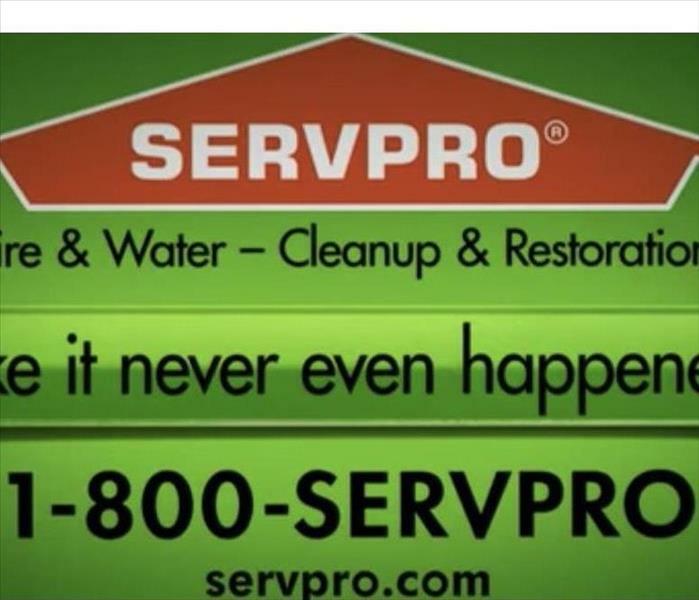 For a lot of restoration companies, especially in the coastal regions of the U.S., the storm season is when a typical SERVPRO has their busy seasons. Here in Fraser, however, our storms have been few and far between this winter. In the event of any major episode of precipitation, our franchise will typically experience a massive spike in calls, leading to our crews working long days in order to fulfill those homes in need. 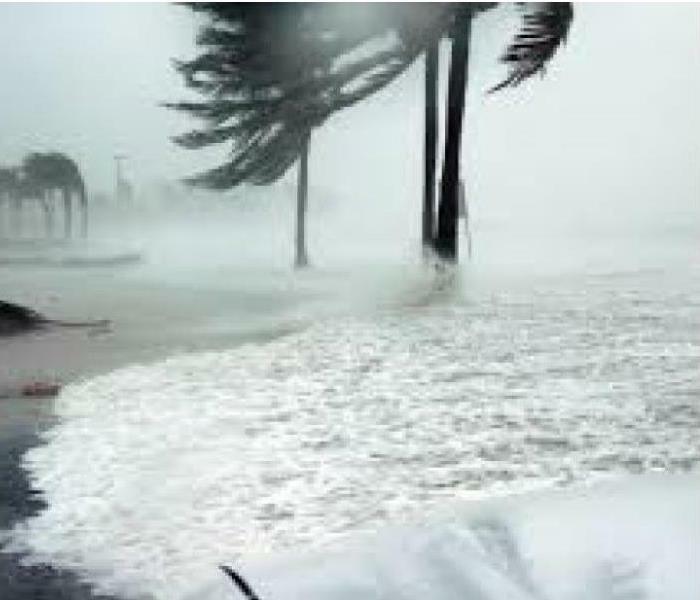 Storm damage can account for a large share of yearly revenues for a restoration company, so the weather, while uncontrollable, becomes an important variable to monitor. SERVPRO's call center tracks various storm situations in our franchise's area as well as the other franchises located throughout the Continental U.S. In the event of a major storm activity, be aware that SERVPRO locations around the country will mobilize to remove damage and prevent further damage to the surrounding areas. 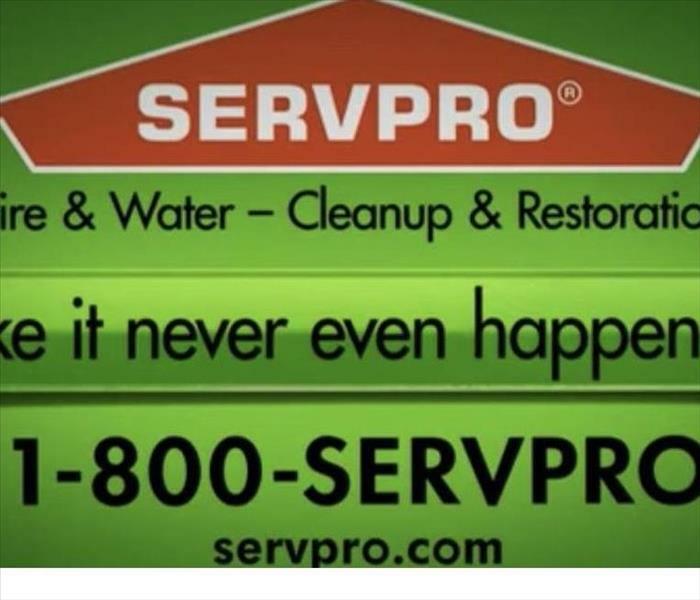 Call your local SERVPRO of Fraser experts if you are impacted in a major storm situation and we will work to make the damage in your home look "Like it never even happened." Does My Insurance Policy Cover Mold? Early detection of water damage will help prevent extensive mold growth. Mold spores exist naturally almost everywhere, so removing all of it from a home or property is practically impossible. Mold is found throughout our environment and our body has certain amounts of tolerance towards mold. We try to focus instead on identifying the mold, controlling it before it spreads, overseeing its removal through proper procedures and with the environment of the home in mind. It is also important to ensure that moisture is controlled to limit future contamination or recontamination, making sure that safety and health precautions are taken into consideration. Mold can develop on any space that allows for optimal growth conditions. This depends on the conditions in the environment of your home and the different toxins that thrive there. The key to its growth is moisture, which can occur due to temperature changes, roof or plumbing leaks, flooding, or humidity. Mold removal or remediation can be expensive, but depending on your policy, some of the cost may be covered by your homeowner’s insurance. If you find that you experience a mold situation, call SERVPRO of Fraser at (586) 296-3331 and we will aim to make the mold within your home or business look "Like it never even happened." 3/22/2019 - Tips Before the Big Storm. 2/15/2019 - Mold from Pipe Bursts from the Polar Vortex? 12/31/2018 - Does My Insurance Policy Cover Mold?